What is my GPS Accuracy Score? The Hytch GPS Accuracy Score is an analysis of a handful of software, hardware and environmental factors that impact your connection to Hytch. Low scores reflect your risk of a disconnect. We suggest the person with the highest GPS Accuracy Score be the Host and initiate invitations. HOW IS MY GPS ACCURACY SCORE CALCULATED? Cellular network reliability - depending on your location, you may have a weak connection (or a hole) in your cell network. Signal strength of your device - poor network connection for any reason will reduce your score. Phone hardware - old phones with slow or outdated hardware will hurt performance. Phone software - faulty settings and outdated software will hurt performance. Connection to GPS satellite - extreme weather, passing through a tunnel, or traveling through downtown urban environments with tall buildings can factor into GPS accuracy. HOW DO I FIX A LOW SCORE? Talk to people in your Hytch groups to compare scores. What device and network are they on? Upgrade your device: everyone loves a new smartphone. Change cellular networks: get a better plan. Press on: we are constantly updating our platform to bring users a better experience.  Using Hytch Rewards makes you a Hytch Hero because you are protecting clean air, saving trees and reducing congestion. Stay in the Hytch Halo. MY RIDE DOESN'T COMPLETE OR DROPS IN THE MIDDLE OF MY COMMUTE. When we’re alerted to repeated drops, we update the Hytch algorithm to increase your trip connectivity as much as possible to ensure people stay in trips for the entire trip. Unfortunately, most cell phone providers do not share accurate coverage information so we can't always fix the issue. Some cell service providers have large gaps in data coverage that can result in one or all of your Hytch buddies getting kicked out of a ride. Gaps in cellular coverage over certain regions. In the future, we'll be able to share the Bad Data gaps we've discovered in Tennessee since starting Hytch in February 2018. Out of date hardware or software.